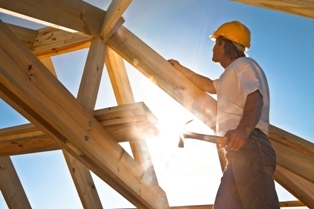 Unfortunately, construction accidents are all too common in the Dallas and Fort Worth area, and construction workers suffer devastating injuries like traumatic brain injury, spinal cord damage, internal organ damage, or death. If you are the victim of one of these tragic accidents, you could find yourself off work with no paycheck for months or longer while you recover or even worse, be unable to return to your job. Fortunately, you may be able to pursue claims against more than your employer to obtain the compensation you need and deserve. Workers’ compensation. If your employer provides workers’ compensation benefits, you should make a claim for these benefits if you are injured at work and must take time off to recover. Non-subscriber employer claims. Many employers in Texas have opted out of providing workers’ comp benefits. If your employer has done this, you can pursue a claim based on your employer’s negligence under Texas’ non-subscriber employer laws to obtain compensation for your lost wages, medical bills, and pain and suffering. Personal injury. When the negligence of a third-party—like a subcontractor—caused your accident, you could have a claim based on negligence against him. Product liability. Sometimes a defect in a tool, equipment, heavy machinery, or materials being used can cause or contribute to a worksite accident. If this happened to you, you could have a product liability claim against the manufacturer. Wrongful death. If a loved one died in a construction accident, you may have a wrongful death claim against the responsible parties if you are a close family member. An attorney who has experience handling construction cases and non-subscriber employer cases can help you determine all the liable parties and possible legal claims you have against them. If you were injured in one of these accidents, review our case results to see how we have helped workers like you and then start an online chat today to schedule a free, no-obligation consultation with our experienced construction and non-subscriber workplace accident attorneys.